We can help you take your product from concept through to production. 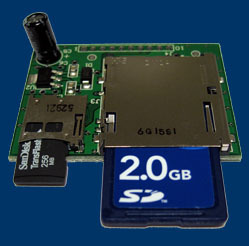 We offer Hardware and Software design. Hardware design for analog, digital and mixed signal projects. FPGA based Embedded Systems design, SOC and Firmware design in C and assembly. 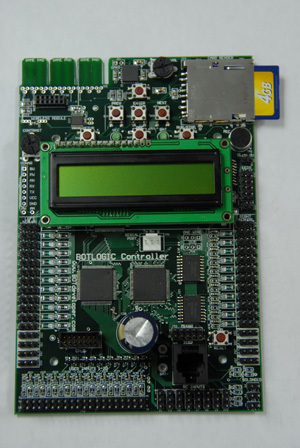 We have also developed our own professional bootloaders for all your production and support needs, an SD card library that allows any microcontroller with at least 4 free I/O pins an a C compiler to read/write PC compatible files and directories. 3D Model created for all PCB layouts done by our layout service Standard layout deliverables includes a 3D model of the PCB with all components on the model. This model can be placed into your mechanical design software for the enclosure and checked for a perfect fit. If there are problems we can fix it before the prototypes are made. In cases where the customer has real close tolerances between the PCB and the enclosure and is concerned about the fit we can load the case design into our PCB layout software and the case will show up in a transparent view of the PCB while we are placing all the parts on the PCB. The layout software will check for clearance between the board and enclosure preventing us from placing a part on the board in a place where it will hit the enclosure, this assures that the finished board will fit perfectly. We are happy to take PCB schematic designs from other schematic capture packages and complete the layout for you, please talk to us about your specific needs. FPGA Design We have done designs with small programmable devices with a more traditional CPU based board design and we are ready and happy to do these designs when needed however where we can really offer you an advantage is fast flexible Hardware and Firmware prototyping is when we do a board design using a larger FPGA device. It is possible in these designs to build all the digital logic into a single FPGA chip including the CPU. This can be done by getting an FPGA that has a CPU built in with the programmable logic or for more cost sensitive projects we just use some of the programmable logic cells to create a CPU. This is very efficient as the processor can be scaled to the needs of the project and if the need increases the processor can be changed as needed. For example you could start out with a 8-bit CPU then later after you have made your prototypes you can change the CPU to a 16-bit or even a 32-bit without changing the prototype hardware. This allows you to make a very flexible prototype of your product and still remain cost effective when in production. The tool set we use for this allows us to change the processor size and type on the fly and the source code we have written remains compatible and can be used just by rebuilding the Firmware project. This software compatiblity works also if you change the FPGA, even if you go to a different FPGA manufacture( limited to Lattice,Xilinx and Altera FPGA Manufacturers ). When using cost sensitive product designs many engineers think that FPGA based designs are to expensive however the truth is that FPGA with enough gates to do this type of thing start at about $15 in quanity 1 pricing. In many cases the FPGA based design can make a more reliable and flexible design without adding cost to the product. Let us get you a free estimate and show you how we can cut the total project time by 30-50%. Firmware/Software DESIGN In the first 10 years 1987-1997 that ECS was doing business about 75-90% was in Assembly so we have worked with many assemblers and can handle Assembly language programming without a problem however the C compilers these days are much more efficient and in most cases the C compilers can write very tight code even for timing critical interrupt routines In the few times now that C cannot be used we are very comfortable writing the routine in Assembly. When using FPGA's we have some additional optimization options such as if a function is is too slow we can move it to compile in the FPGA as hardware then the hardware function can now pass it's return value back to the software making the function VERY fast. We offer full product design services including Enclosure Design, Mold Design and Mold making as well as prototype and production injection molding. But before we explain what we do, let me show you the problem we wanted to solve for the company that wants to make an electronic product in a custom enclosure. if you are a company planning to design an electronic product with it's own custom enclosure here is a rough look at what is needed. You must first hire someone to design your electronics, (Company #1). At the same time you might hire someone to design what your product will look like, usually done by making a 3-D solid model of the product, (Company #2). Next you get someone else maybe to layout the PCB, (Company #3). At this time you will also need Company 2 and Company 3 to work together to be sure the board fits in the case. Now another company to build the PCB Prototype boards, (Company #4) and then another company, (Company #5) to assemble the boards with all the electronic parts. While this is going on you get another company, (Company #6) to design a mold for every separate piece of plastic in your case then another company, (Company #7) to manufacture all these molds. Next you need to get another company, (Company #8) to take all these molds and inject them with plastic to make the parts, so finally you get some sample parts. Hopefully by now you have received the assembled prototype PCB so all you need to do is put them together and have everything fit RIGHT. If this is not case you have to figure out what is wrong and go back and fix it then repeat the process until everything fits, then the mechanical design is done. This does not even talk about the Software/Firmware which hopefully is also done about the same time. That's the problem with Electronic Product Design. 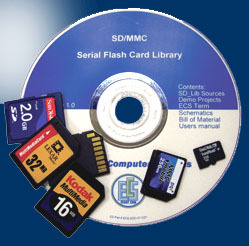 Here at ECS we realized that 8 companies to complete a small electronic product is too much. Its too much Risk, too much Time and too much Cost so we set out about 5 years ago to change this and become a one stop shop for ALL your electronic product needs. We already had a strong Hardware/Software team that could bring a board level design together in record time so why not solve the whole product design problem. We already had a CNC Machine shop,we just needed to add a mechanical design CAD tool with integrated Mold Design and CAM ability. We carefully selected tools that we could integrate together with Altium Designer (our Electrical CAD package). We found this solution and now have these tools integrated together to take as much of the errors out of the process as well as reducing the design time which lowers the cost of every product design. Last we partnered with a board assembly house so that we could do the product assembly in-house but have the boards assembled off-site. By putting everything under one roof (with the exception of Board FAB and BOARD assembly) we keep all the difficult design work on site, this simplifies our client product risk so the end product will be right the first time. Please talk with us about your next electronic product design and how we can save you time and money all while delivering a more reliable product. - We offer Turn-Key product manufacturing for products we design for our customers. - PCB layouts with 3D models. - Cypress: Cypros Wireless USB Certified Concultant. - Hi-Tech: HI-TECH Software Certified Consultant. - RoHS Rework Station for fine pitched SMT Rework. 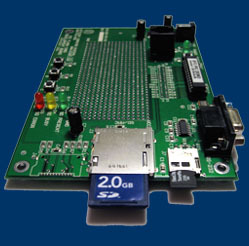 - FPGA Designes with Video VGA and DVI interfaces. - 3d solid/surface modeling CAD Software with Molding and CAM support.